Some good news to US bound travelers- the laptop ban enforced on 10 Airports has been relaxed a bit with Doha, Dubai and Abu Dhabi getting exemption, effectively all Qatar Airways, Emirates and Etihad passengers now can carry their laptops in hand bag inside the cabin. Washington will be 5th US destination for India's National carrier Air India. Delhi-Washington direct flight has been started this week, with a 777-200 equipment. AI 103 and AI 104 will fly 3 days a week ferrying upto 238 passengers per flight. As per this news, while trying to buy part of Air India's business, Indigo is looking to introduce a low cost long haul unit, something similar to Air Asia X, I assume. There is huge potential if Indigo can launch cheap flights to Europe, Africa and South East Asia from major Indian cities. 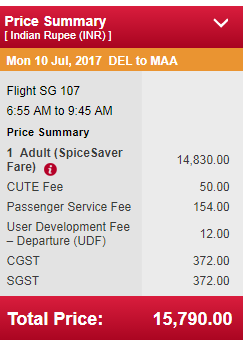 There's hardly any budget airline flying to Europe from India right now, so we're paying upwards of 35000+ per trip in full service airlines, to say Paris or Amsterdam from India. If Indigo can offer the same in 22000-25000 range, they will have great occupancy. Similarly for many South East asian destinations we are dependent on Air Asia/Scoot like carriers with a one stop flight. If Indigo can introduce direct flights it will be more convenient and hopefully cheaper. Are there any other aviation/airline news that got your attention this week? Let us know.